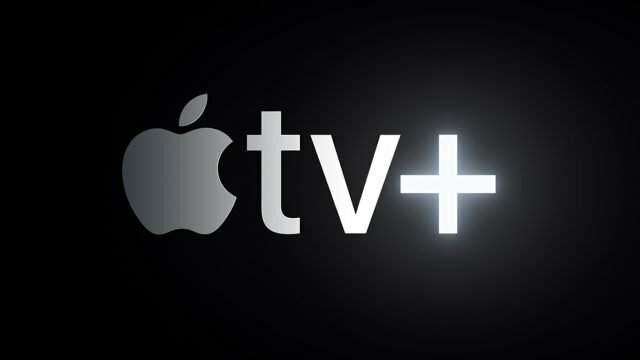 Apple’s masterplan to defeat Netflix looks good in headline type, but in examining what they’re actually offering – I’m not so sure. Well, it’s nonsense again, as Malcolm’s proxy won Malcolm’s seat, the NRA took aim at logic (and missed), and the good people from Apple made their products cheap and indestructible. Current Affairs Wrap: Trump/Iran so far away, Husar’s refuted allegations, Japan’s new ad space – your armpit! What a week it was. Trump attempted diplomacy, Husar faced scandal and Japan doubled down on the weirdness. Well, it’s the morning after. Robbie Williams ruined the World Cup, Donald Trump turned 71 and Apple will (sort of) remake Steamboat Willy. Smartphone addiction is a real problem, especially among students. However, one US company has a rather radical solution: Phone prison. Yes, Apple own our lives, but we can still laugh at mistakes they made during puberty. Every Friday, The Big Smoke looks at industry news curated by MediaScope. This week we gaze at Mary Meeker’s Internet trend report, where the tech giants will stand in the future, and Amazon’s shift into…investigative journalism? Every Friday, The Big Smoke looks at industry news curated by MediaScope. This week, we bid farewell to big data, we analyse the key trends on how different generations consume media, and we illustrate why journalism is not dead. Morn-o! What happened while you were asleep? Yet more details emerged from Don Dale, the cretin behind Comic Sans emerged, and Apple want to make this relationship work, granting space. Always on, always listening: Does privacy have no place in the future? The downside to always being connected, is of course, always being connected. Is our push for innovation blurring the line between public and private, or have we already crossed it? Each week, we will look at industry news curated by MediaScope. This week we look at the indefatigable notion of the idea, Apple shooting itself in the foot and the flow of information Facebook steers. Morn! What happened while you were asleep? Well a Saudi teen pushed for an emoji that looked like her, the Internet complained, and stem cell research took another step forward. Safe to say many a bad moon was on the rise this week, with North Korea’s threats of nuclear proliferation and the decriminalisation of public self-love. Heady days. Morning! What happened while you were asleep, and I was awake, typing this? Apple pushed for more by giving us less, Denmark cut some hackers a cheque and humpback whales were taken off the endangered list! Huzzah! Monday morning. Why. What happened while you were asleep? Well, we could see the forced migration of 25,000 commuters, Apple ditched the home button and the greatest limp effort of democracy since the last one. Morrrnniinggg. What happened while you were asleep? Well, Bill Shorten went the full Oprah and Italy took the jam out of Belgium’s croissant. Fingerprint mobile tech: Hands off my fingers, robot! I recently scored a brand new phone. It’s great, but the intrusive nature of the fingerprint technology has me reaching for my tinfoil hat. A writer has outlined the trust issues he’s faced in his relationship since he and his partner downloaded the “Find my Friends” app. Philippe Gelis warns that banks are in danger of being usurped by the newer crowd – those who are already trusted by the customer. The cash reserves at Apple now top $178b. Are they going to splurge? No. Boring! JKL chimes in with his investment ideas. What about yours? Xavier Toby’s got a problem with Tim Cook coming out. He’s mad that Cook, in this day and age, still needed to come out. For rent: MyGirl1 for an iPhone 6? After a guy offered to rent out his girlfriend to raise money for an iPhone 6, Xavier Toby questions what the hell was this “human skidmark” thinking?? ?